Academy and Emmy award winner Al Pacino stars in HBO Films’ two-time Emmy-nominated drama Paterno. After becoming the winningest coach in college football history, Joe Paterno is embroiled in the famous Jerry Sandusky sexual-abuse scandal, forcing his ouster at the same time he learned he had cancer. The story focuses not only on Paterno and his family, but on Sara Gamin (Riley Keough), the 23-year-old reporter and Penn State grad who broke the story in The Patriot-News, a local newspaper. Paterno’s legacy is challenged over the course of one explosive week, as he is forced to face questions of institutional failure in regard to Sandusky’s young victims. Reuniting Pacino with award-winning filmmaker Barry Levinson (HBO’s You Don’t Know Jack), Paterno marks their third HBO collaboration. Taking place over a two-week period, “Mr. Levinson lays this out with considerable skill and energy” (New York Times) allowing one to create their own judgment on what happened. .About Paterno: Director Barry Levinson and stars Al Pacino and Riley Keough discuss the story behind the film and its perspective. 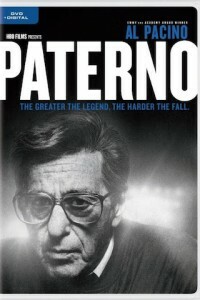 .Joe Paterno’s Impact: Barry Levinson and Al Pacino talk about Joe Paterno’s responsibilities relating to the scandal. A new murder is taking place every single night at 11 p. m.